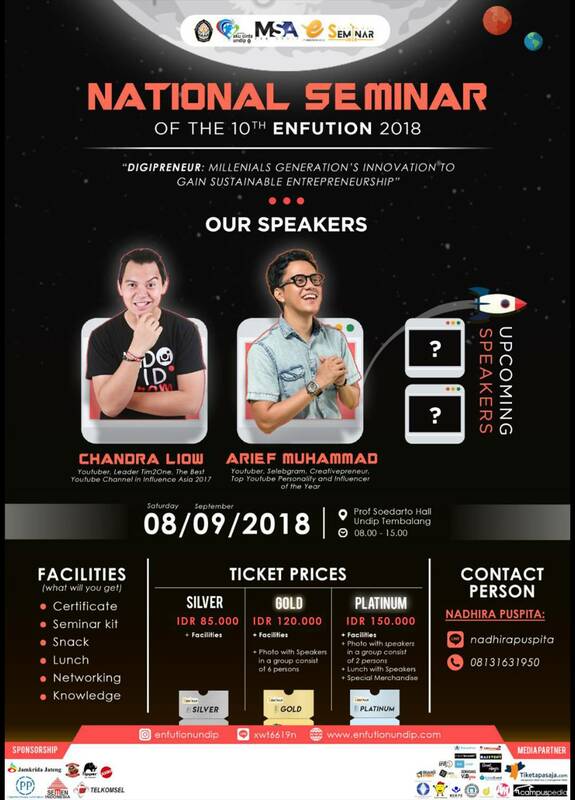 Our theme is "DIGIPRENEUR: Millenials Generation's Innovation to Gain Sustainable Entrepreneurship"
THOSE SPEAKERS WILL INSPIRE YOU NOWHERE ELSE BUT AT ENFUTION 2018! 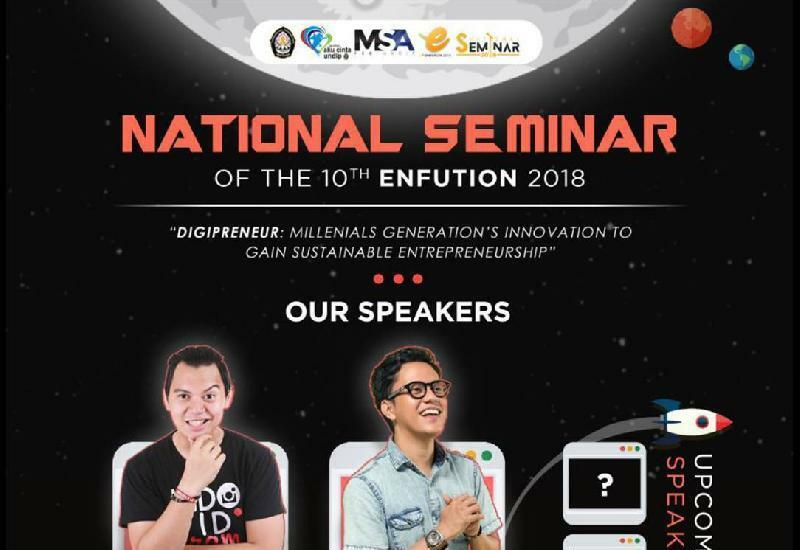 DON'T MISS THE OPPORTUNITY TO GET INSPIRED! Get your tickets now!